Oral hygiene should be given top priority always. Most people are particular about sporting or wanting to sport a flashy dazzling smile always. But it is a fact that the natural actual color of our teeth is somewhere between light yellow to lighter yellow-red. They tend to darken even more as one gets older. As one grows older, the tooth enamel tends to crack and erode and exposes the less dense interior of the tooth. This is called dentin and it tends to absorb food coloring in foods. Teeth get stained due to over consumption of beverages like coffee, tea, colas and other soft drinks. This naturally leads to build up of plaque and tartar on the teeth. In order to maintain good dental hygiene and keep your teeth sparkling white, snack liberally on apples, celery, and carrots. These help to scrub away stubborn stains as you chew. Also, make it a regular habit to gently brush your teeth after each meal. If possible, try to drink beverages out of a straw to minimize their contact with the teeth. If you can lay your hands on fresh straw berries, crush them into a pulp, mix a pinch of baking soda and enough water to form a paste. Brush with this paste for a few minutes once in every three to four months. The astringent malic acid in straw berries helps in removing coffee and tea stains. The most important aspect on maintaining good oral hygiene and sporting a sparkling white smile is the proper use of the toothbrush. Place enough tooth paste in the brush to cover the bristles. Use the brush to get to even the back of the mouth. Keep brushing in circular motions. Never brush too hard near gums as they may bleed or cause pain. After thorough brushing, rinse out with water or mouth wash. Refrain from eating after brushing at night and remember to keep kids away from drinking juice or squash after they have brushed their teeth. Whiten your teeth with easily available home ingredients. Take one- fourth of a teaspoon of baking soda or powder in a cup. Add equal amount of toothpaste. Dip the tooth brush into the paste and brush thoroughly. Rinse mouth, use mouth wash to get rid of the gritty taste and leave your mouth feeling fresh. If you are too lazy to try out the above methods, opt for an easy way out. Get hold of very strong mint toothpaste and brush your teeth vigorously. A few weeks of doing this will leave your teeth truly sparkling. Citrus fruits and beverages and foods containing acid cause discoloration of enamel. Avoid consuming such foods at night. Make it a habit to drink less of dark beverages like tea and coffee. Even while munching on your favorite chocolates and sweets, make sure to rinse your mouth immediately since bacteria can develop on your teeth and inside the mouth which would eat into the enamel, thereby discoloring it. Smoking stains your teeth with ugly nicotine stains. So cut down on smoking if you still want to dazzle people with your smile. A few steps taken diligently each day can help you to stop making regular visits to the dentist to get them cleaned professionally. Rinse your mouth after each meal and immediately after every snack you partake of. This helps to get rid of bacterial build up on teeth. Eat right and avoid starchy foods and acid causing foods. Snack on saliva producing food such as apples, sugarcane, guava, cucumber, celery and so on. These not only help to cleanse the teeth but also provide the body with much needed fiber for digestion. The common salt is a natural whitener. Use this instead of toothpaste to cleanse your teeth at least twice in a week. Mix baking soda and hydrogen peroxide to form a paste. Brushing of teeth regularly with this paste helps remove all stains in teeth. 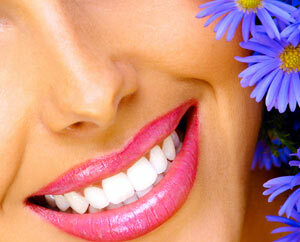 These sample home remedies go a long way in helping to maintain a dazzling smile. Rub orange peel on your teeth to whiten them. Brush teeth each night with apple cider vinegar. Take an aluminium foil and on it spread a paste made from tooth paste and baking soda. Cover your teeth with this foil. Leave on for an hour and brush teeth afterwards. Repeat this twice a week to get best results of teeth whitening. In order to prevent discoloration of teeth, here’s a simple home remedy. Prepare a paste of equal amounts of lemon juice and salt and apply to yellow spots on teeth. This helps remove stains easily. Regular gargling and rinsing of teeth with a cup of water and half a teaspoonful of rock salt at night prevents all dental problems. Aging also contributes to yellow teeth, mainly because the outer covering on the teeth wears away exposing the layer of yellow dentin. Antibiotics and silver colored fillings can also stain teeth. As stressed earlier, regular brushing can help keep your teeth clean. But do not brush too hard and do not use brushes with hard bristles since that can create grooves in the teeth and in the roots. Regular flossing can get rid of stubborn plaque and fight stains too. Plaque is nothing other than a thin invisible layer of bacteria and food debris that accumulates between the teeth. Think twice about using stain removing toothpastes. They are generally abrasive and it would be best to avoid them. Make regular cleaning, brushing, flossing a regular part of your daily routine and you will be able to sport your pearly white teeth and dazzle everyone with your charming and winsome smile for years on end.